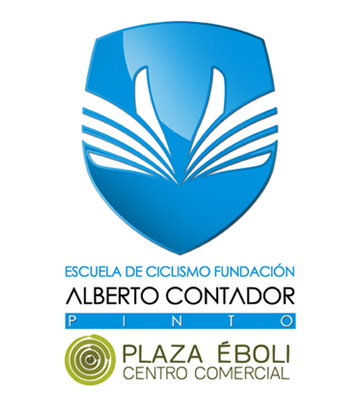 The Plaza Éboli Cycling Academy is one of the most special sports projects of the Fundación Alberto Contador. It was the first of its initiatives that began to roll and with the substantial support of the shopping center Plaza Éboli has consolidated in very few years. Its raison d’être, and this is something that is often stressed, is not to encourage competition as such, but to stimulate the practice of sports from a more playful and recreational prism. Over the years, new sports projects have been launched within the Foundation. In 2013 the junior team started to roll, with fourteen members of which four today are professional runners. With a view to 2014, the U23 training began its activity. In 2018, with the substantial support of Kometa, the continental professional structure was created. Precisely Kometa, main sponsor of the continental team since January 1, 2019, also supports a cycling school in Italy. The food sector firm, thanks to Lorenzo Negri’s commitment, has promoted the Kometa Cycling Academy. The Plaza Éboli Cycling Academy and the new Kometa Cycling Academy, which is also supported by Valtellina and Pedranzini, are joined by a strong bond where the name of Félix Gómez emerges. A former instructor at the Madrid school, Gómez now works at the institution in Italy, where he has been living for a few years for work reasons. 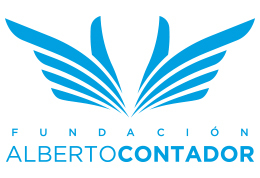 Already during the second edition of the School Race organized by the Fundación Alberto Contador, last October, this good harmony with Italian formative structures could be seen. Then a large representation of the Unione Ciclística Costamasnaga, of which Gómez has also been a collaborator, was present in Pinto. All Rights Reserved. Any unauthorized copying or reproduction is strictly prohibited.